State lawmakers started this year’s legislative session with the intention of tackling bipartisan issues — namely, education and property taxes. Last week, though, abortion politics complicated that goal. In particular, groups clashed over House Bill 896, which is sponsored by state Rep. Tony Tinderholt, R-Arlington. The bill would allow prosecutors to charge a woman who gets an abortion with criminal homicide, which is a crime punishable by the death penalty in Texas. Last week, a house committee took public testimony on the bill, and hundreds of people signed up to testify. "This is almost certainly going to be the most controversial bill this committee will hear this session," Tinderholt said. "This is a topic both sides are very passionate about. For many it’s personal and evokes raw emotion. We can passionately disagree on the issue while still engaging in a very respectful discussion." The hearing, however, was long and contentious. Supporters of the bill called women who get abortions "murderers" and said they deserve to be treated as such. There was also tension between the chair of the committee — Republican state Rep. Jeff Leach from Plano — and a legislative intern who spoke against the bill. Later that week, abortion rights groups like Texas Freedom Network, NARAL Pro-Choice Texas and Texas Equal Access Fund, released a statement on the hearing. "It was shocking to watch," they wrote. "But to add insult to injury, despite his claim to be holding a respectful hearing, Chairman Leach interrupted and openly berated a young legislative intern who testified against the bill, which subjected her to harassment after her testimony." Groups also called the hearing "political theater at its most grotesque," since Leach had said he wasn’t going to let the bill out of committee. On this point, Leach pointed out that early on in the session, he said he would make sure every bill referred to his committee got a hearing. "And frankly I think the members of this legislature, Republican and Democrat, and the — people of Texas deserve no less from the chairman of this committee," he said. But the bill got a lot of attention — and raised concerns. Yvonne Gutierrez, the executive director of Planned Parenthood Texas Votes, said it’s not like this bill came out of nowhere, though. "This is nothing new," she said. "We see these bills filed every session. Every legislative session there are 40 plus anti-choice bills that are filed. What’s different this session is that those [bills] that are the most extreme are getting a hearing." Gutierrez said hearings on bills like HB 896 are helping less extreme anti-abortion bills get fast-tracked. For example, she says her group is concerned about a bill that would ban cities and counties from partnering with Planned Parenthood — even for public health projects that don’t have anything to do with abortion. Another bill, sponsored by Rep. Leach, provides protections for babies born alive during an abortion. It's a bill Gutierrez said was written without any scientific fact behind it and would further stigmatize a legal medical procedure. "You know, we heard at the beginning of this session this was going to be a ‘kumbaya’ session, there was going to be a focus on education and on property taxes," she said, "but yet, legislators continue to focus on reproductive rights and abortion access." And ultimately, she said, this is about getting bills through the legislature that will directly challenge Roe v. Wade, the court case from the 1970s that legalized abortion in this country. John Seago, legislative director for Texas Right to Life, said that’s exactly what he’s working toward. He said ultimately his group wants to change the law, and they think Texas is a great place to do that. "We have all of these great pro-life leaders, including a great attorney general who is very aggressive, we have the Fifth Circuit — who gives all these bills a fair shake," he said, "and we believe this is the right time to be passing bills that will go through the judicial system." But not all bills will achieve that end, he said. In fact, when asked what bills he is backing, Seago did not say he’s pushing for HB 896. "Some of the bills filed this session don’t raise any new dynamic legal angles," Seago said. 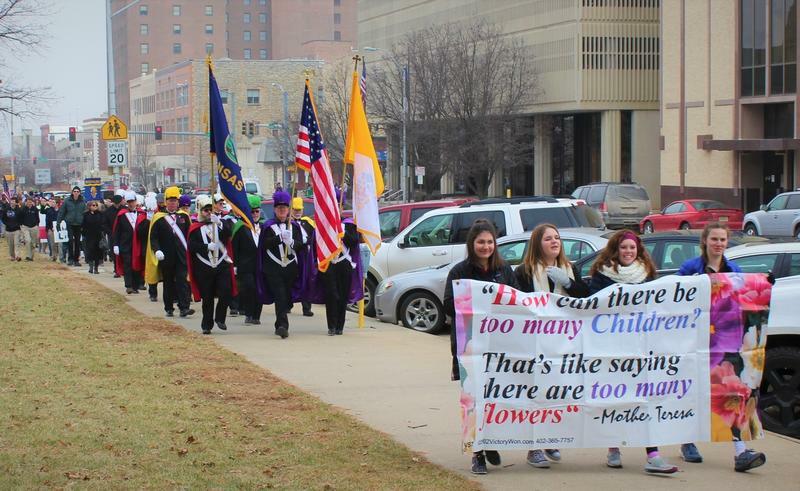 "They just reassert, ‘We don’t approve of abortion. We want to stop abortion.’"
Seago said his group has only backed legislation that doesn’t put the criminal onus on women who get an abortion. So, in a way, there is a small consensus between both sides on this. But that’s about it. Texas Right to Life is supporting that legislation that would ban cities from working with Planned Parenthood, among a couple of other bills abortion rights groups say they are concerned about. Got a tip? Email alopez@kut.org. Copyright 2019 KUT 90.5. To see more, visit KUT 90.5. 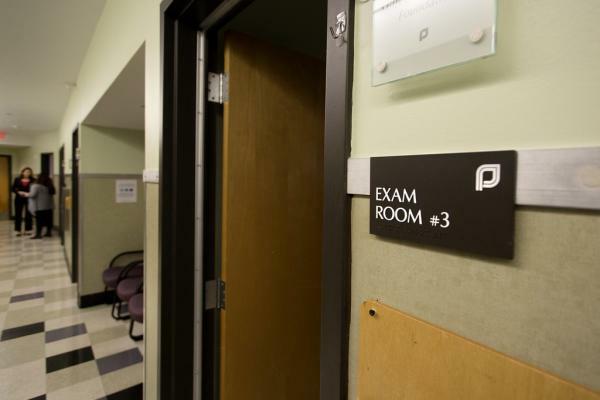 Kansas has dropped its effort to terminate Planned Parenthood’s participation in Medicaid, ending a three-year-long court battle that the state lost at every turn. The change in policy wasn’t announced publicly but rather came in the form of a joint stipulation to dismiss Planned Parenthood’s lawsuit challenging the state’s move. Kansas Lawmakers Suggest Abortion Pill May Be Reversible. Scientists Dispute That. UPDATE: On April 5, after this story was first published, both chambers of the Kansas Legislature passed a measure mandating notice that the abortion pill may be reversible, sending the bill to Gov. Laura Kelly's desk where it currently sits. The amended bill includes a compromise sought by Democrats under which physicians who attempt a reversal would report the outcome to state health officials. Oklahoma has some of the strictest abortion regulations in the country. Women must wait 72 hours after deciding to have an abortion, they cannot use insurance— public or private— to pay for the procedure in most cases, and each woman seeking an abortion in Oklahoma is required to have an ultrasound. 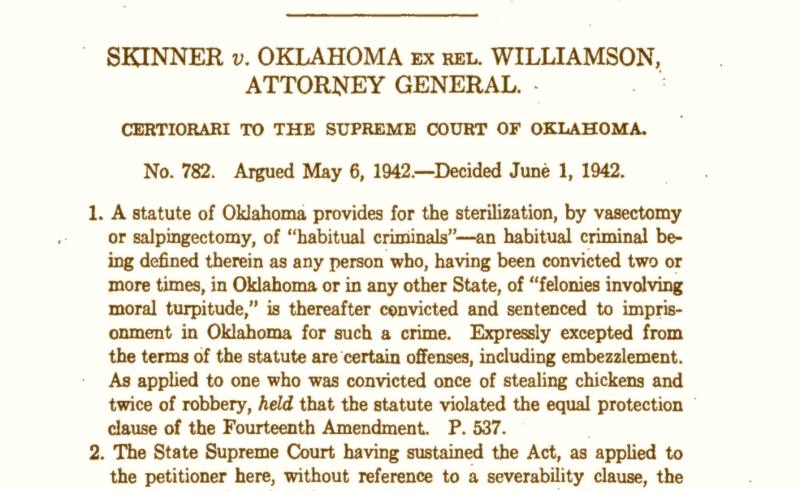 And yet, an Oklahoma court case set the stage for legalizing abortion in the United States.